Topical treatment of moderate scalp psoriasis in adults. 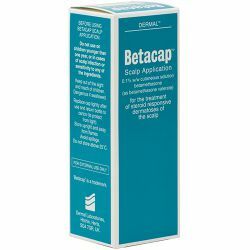 125ml Topical treatment of moderate scalp psoriasis in adults. 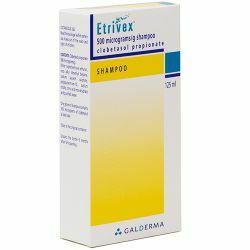 Etrivex 500 micrograms/g shampoo should be applied directly on dry scalp once daily taking care to well cover and massage the lesions. An amount equivalent to around a half tablespoon (around 7.5 ml) per application is sufficient to cover all the scalp. The total dosage should not exceed 50 g per week. 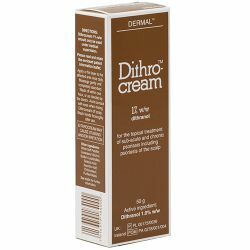 For cutaneous use on the scalp only. After application, Etrivex 500 micrograms/g shampoo should be kept in place without covering for 15 minutes. Hands should be washed carefully after application. After 15 minutes, the product must be thoroughly rinsed with water and / or hair can be washed by using an additional amount of regular shampoo if needed to facilitate washing. Then, hair can be dried as usual. The treatment duration should be limited to a maximum of 4 weeks. As soon as clinical results are observed, applications should be spaced out or replaced, if needed, by an alternative treatment. If no improvement is seen within four weeks, reassessment of the diagnosis may be necessary. Repeated courses of Etrivex 500 micrograms/g shampoo may be used to control exacerbations provided the patient is under regular medical supervision. One gram of shampoo contains 500 micrograms of clobetasol propionate.